1968 European Touring Car Champion. Division One. BLMC 999cc Mini Cooper 'S'. Also highest overall points in European Championship (48). Car Prepared by: B.V.R.T. Ltd.
1968 B.R.S.C.C. Northern Saloon Car Champion. BLMC 999cc Mini Cooper 'S'. Car Prepared by: B.V.R.T. Ltd.
1968 B.A.R.C. Hill Climb Champion. BLMC 1293cc Supercharged Mini Cooper 'S'. Car Prepared by: B.V.R.T. Ltd.
Before BVRT it was just BRT. 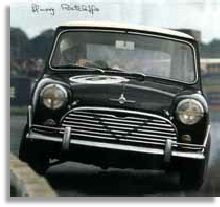 Learn more about the roots of the British Vita Racing Team. Harry Ratcliffe's & Jeff Goodliff's early days. A brief history of British Vita Racing & Tuning. Many thanks to my good friend Pete Flanagan for supplying the Text & the excellent pictures, most of which have never been published. 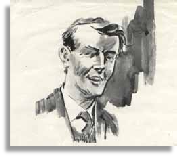 Also a big thank you to Harry Ratcliffe for the time he gave to Pete, while researching the article. 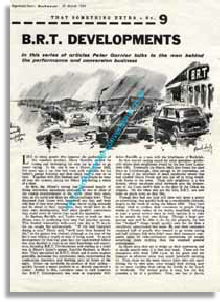 This is a PDF copy of the BVRT tuning catalogue published in 1969 to capitalise on the success of the three champions. 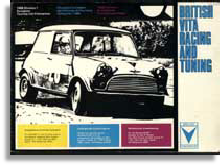 In 1968 BVRT built one of the most powerful A Series Mini ever seen anywhere! It was a 1293 Supercharged, 8 Port Hill Climber, and it handled as well as it went. Click the image to read the full article. During the 1968 season BVRT & The Cooper Car Company were practically team mates, click on the image to find out just how close. 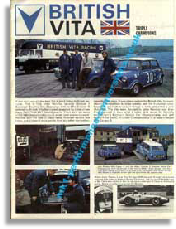 To see a copy of the BVRT section of the 1968 Castrol Achievements booklet entitled "British Vita Triple Champions". Follow the link opposite to see a small collection of Harry Ratcliffe's original photos of BVRT in action. 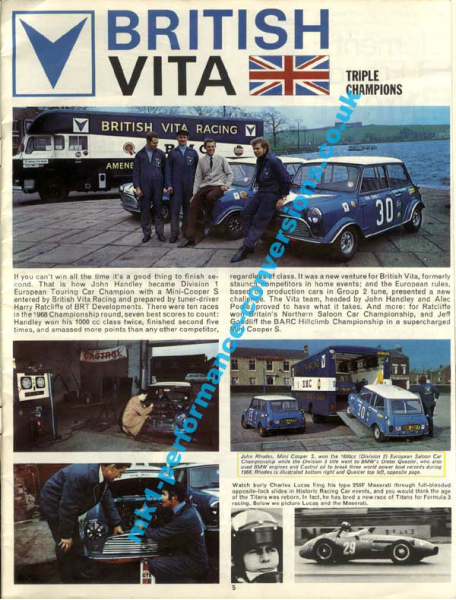 British Vita were one of the most successful A series tuning houses of the 60's. They were consistently innovative in their thinking and were responsible for "among other things" the first semi space framed Mini, the first 3.5 litre rear wheel drive Mini and the very first "weight saving" glassfibre flip up front end. 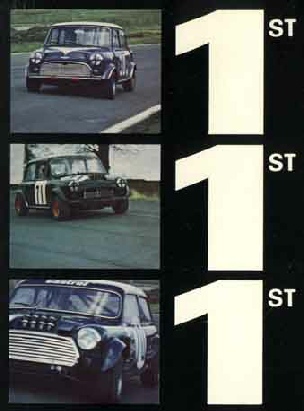 Although the y competed very successfully throughout the 60's in a whole range of motor sport both as "Works" Supported" entrants or in the later years as a full blown works team their finest season was that of 1968, the statistics were as follows.